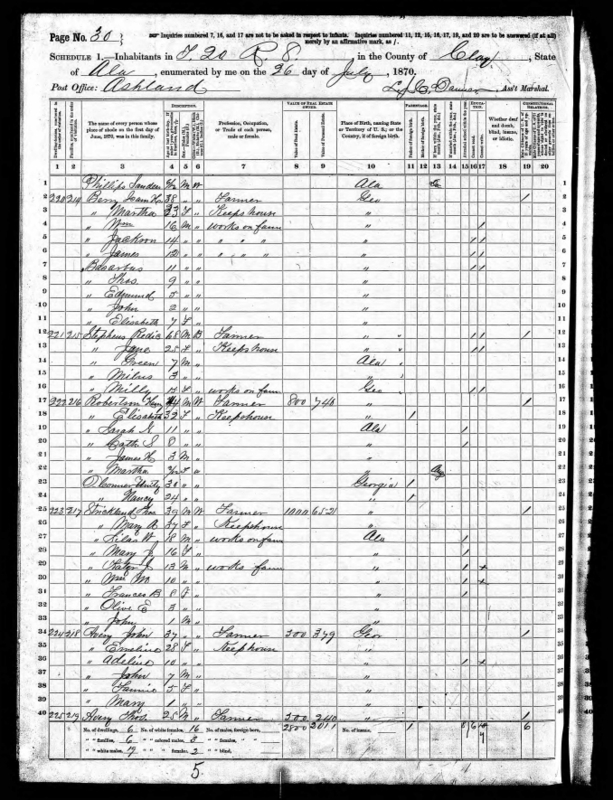 [S303] 1880 United States Federal Census, Database online. 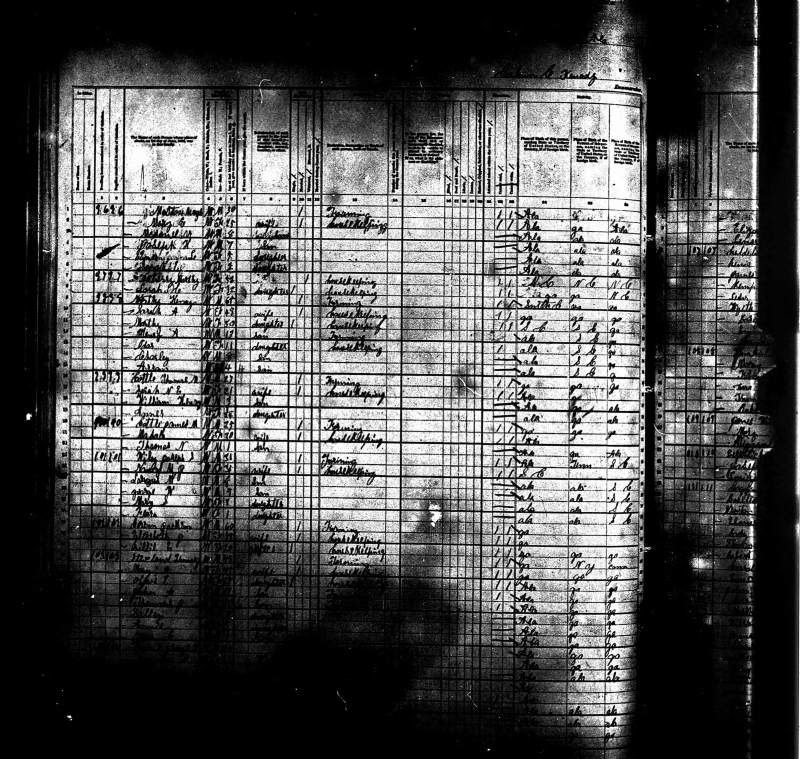 Year: 1880; Census Place: Wicker and Pinckneyville, Clay, Alabama; Roll: 7; Family History Film: 1254007; Page: ; Enumeration District: ; Image: 0820. [S350] U.S. and International Marriage Records, 1560-1900, (Yates Publishing), Database online. Source number: ; Source type: ; Number of Pages: ; Submitter Code: .